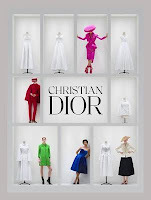 Capturing the highlights of the major Victoria and Albert Museum exhibition, Christian Dior: Designer of Dreams, this stunning souvenir celebrates the House of Dior from its foundation in 1947 to the present day. Haute-couture gowns by Christian Dior and the illustrious creative directors who followed him -Yves Saint Laurent, Marc Bohan, Gianfranco Ferre, John Galliano, Bill Gaytten, Raf Simons and Maria Grazia Chiuri-are showcased here, each described by Oriole Cullen and atmospherically photographed by Laziz Hamani. The perfect addition to a fashionistas coffee table.